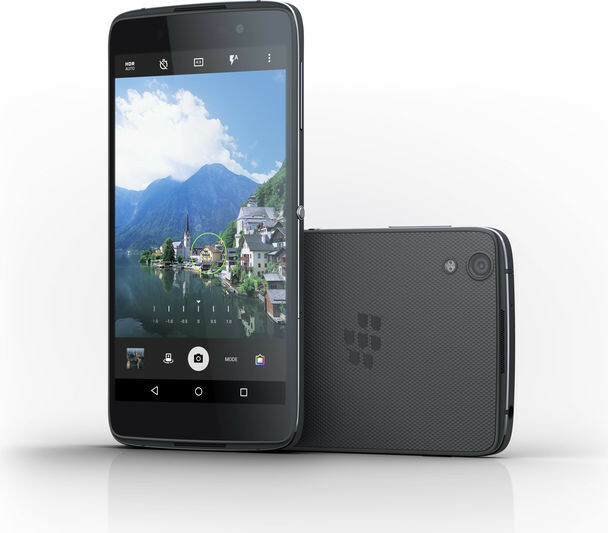 Waterloo, ON – July 26, 2016 – BlackBerry Limited (NASDAQ: BBRY; TSX: BB), a global leader in mobile communications, announced today that DTEK50TM, the world’s most secure Android smartphone, is now available for pre-orders at ShopBlackBerry.com. DTEK50 is BlackBerry’s second smartphone powered by Android, following the PRIV. Fully equipped with Android Marshmallow 6.0, DTEK50 combines BlackBerry’s unique security, privacy and productivity with the full Android experience in an all-touch design, at a price point that’s accessible for consumers and ideal for enterprise fleet deployment. In a recent survey1 of Android smartphone users, BlackBerry found that 50 percent believe their smartphone is only somewhat secure, and what’s more, despite data security fears, one in six Android users don’t know about Android security patches. DTEK50 was designed to address the security and privacy needs of today’s uncompromising Android users. Smartphones are increasingly being targeted for cyberattacks through tactics like malicious apps, scareware notifications and insecure Wi-Fi connections. BlackBerry’s Android smartphones, including DTEK50 and PRIV, have unique built-in hardware security. DTEK50 encrypts all users’ information, including business critical data and personal data such as pictures, videos and contacts. Malware protection is also built-in along with back-up, wipe and restore capabilities. Additional software provides users with visibility and control over which apps get access to personal info or device features such as the microphone or camera. BlackBerry also delivers security patches on the same day that Google publicly releases information about them, while many popular Android smartphones put the users’ private information at risk of being hacked due to slow security updates. DTEK™ by BlackBerry App: Enables users to automatically monitor their OS and apps to know when their privacy could be at risk and to take action to improve it. The DTEK app also tracks applications and notifies you when someone is: taking pictures or videos without your knowledge, turning your microphone on, sending a text message, or accessing your contacts or location. Hardware Root of Trust: BlackBerry’s manufacturing process uses a proprietary technique that adds security from the start, allowing for the tracking, verification and provisioning of DTEK50. Secure Boot Process: Starting with the root of trust, each stage of DTEK50’s secure boot chain must first verify that the next component is fully intact before proceeding, ensuring your device has not been tampered with since the last restart. Android OS hardening: BlackBerry provides additional security patches, improved random number, address space generation and certificate pinning to make it more difficult for attackers to target a device by scrambling application/system memory. Full Enterprise Mobility Management Support: DTEK50 supports BlackBerry’s powerful suite of EMM applications and secure productivity solutions, including: WatchDox by BlackBerry for secure file-sharing, Good Work for business-class email and collaboration tools, Strong Authentication by BlackBerry as a VPN solution, SecuSUITE for Enterprise for secure voice and instant messaging communication, BBM Protected for encrypted messaging and BES12 for secure cross-platform management. BlackBerry Intelligent Keyboard: DTEK50 has a smart keyboard designed to learn from users and increase typing accuracy and speed. It provides word suggestions as you type and includes up to three languages, letting you flick them into place for faster conversations. BlackBerry Hub: This unified inbox is an irreplaceable tool for consolidating all of your messages in one place – whether it’s email, calendar, social or phone calls. Stunning Screen: DTEK50 has a 5.2” full HD display, capable of displaying 16 million colors. The screen is made of scratch-resistant glass and features a specialized oleophobic coating to protect against smudges and fingerprints. Expandable Memory: With support for micro SD cards up to two TB, DTEK50 provides the flexibility to add affordable and hot-swappable memory to download, install, capture and share as your needs evolve. Dazzling Camera: DTEK50 is engineered to deliver professional-looking photos with an 8MP front facing camera and a 13MP auto-focus rear camera. Plus, features like Phase Detection Auto Focus and a dual-tone LED flash are designed to help the camera focus instantly and accurately for a blur-free, realistic looking photos, even in low light. Starting today, DTEK50 is available to pre-order from ShopBlackBerry.com in the US, Canada, UK, France, Germany, Spain, Italy and The Netherlands for $299 USD. DTEK50 will be available in a number of channels around the world, including more than 40 partners from electronics stores, carriers, VARs and distributors. This includes Rogers, Bell, TELUS, WIND, Videotron and SaskTel among others in Canada. In the U.S., DTEK50 will initially be available in Best Buy, B&H and Amazon. Availability of DTEK50 in additional global channels and countries will be announced in the coming weeks. For a limited time, customers who pre-order a DTEK50 on ShopBlackBerry.com only will receive a complimentary BlackBerry Mobile Power Pack, a high-capacity portable charger worth $59.99 USD ($69.99 CDN, €59.99 and £54.99) that powers all your compatible mobile devices to maximize your productivity and play time. This offer expires on August 8th at 11:59 pm PST. For more information on DTEK50, go to BlackBerry.com/DTEK50. Follow all updates related to DTEK50 on the Inside BlackBerry blog here and on our YouTube BlackBerry Channel here. 1 Survey was administered to 8,000 Android smartphone users between 35 and 54 years old in the US by using Google Consumer Surveys. Responses were collected from April 8 to 13, 2016.